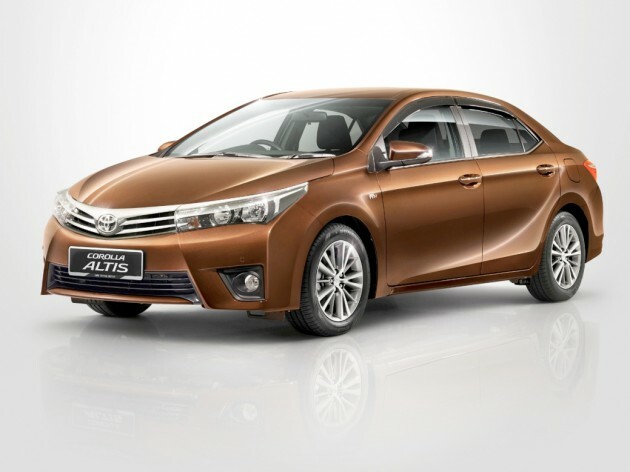 Introduced in January 2014 in Malaysia, the 11th generation Toyota Corolla Altis has doubled its local sales volume compared to previous generation model, and currently leads its segment in market share. 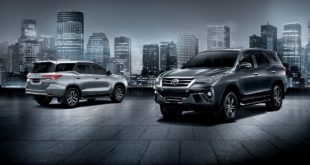 As always, UMW Toyota Motor constantly reviews feedback from customers with the aim of giving them the best product for their money. This is in line with Toyota’s ‘kaizen’ philosophy of continuous improvement, not just in the quality of the products and services but also in the value for money that customers get. The current 1.8-litre and 2.0-litre variants with Dual VVT-i engine and 7-speed Super CVT-i (Continuously Variable Transmission) has been well accepted by the market. There has been much feedback from customers to have a 1.8-litre variant with upgraded equipment package. 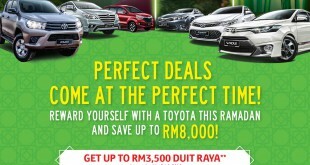 Hence, UMW Toyota Motor is introducing the 1.8G new variant, to respond to the market needs. On the inside, the addition of new features will certainly be appreciated by customers. 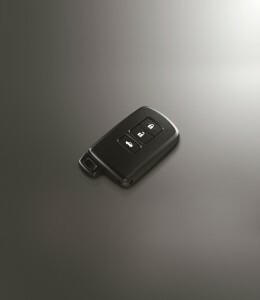 For starters, 1.8G now have a Smart Entry & Start System, allowing keyless unlocking of the doors and starting the engine with just the press of a button. 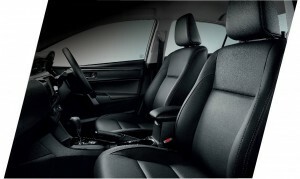 The 1.8G also gets combination leather upholstery and an upgraded instrument panel which has Optitron meters. These meters, originally developed for the Lexus luxury models, are bright and clear with a 3-dimensional appearance, making viewing easy under any lighting conditions. There is also a Multi Information Display which provides information on various operating aspects of the car. Illumination for the cupholders between the front seats, and for the front foot well, are also provided. Tiny illumination lamps at the base of each cupholder add a touch of class. The variant also has an upgraded infotainment system with a 2-DIN head unit. This now consists of a DVD player with a 7-inch touchscreen that also acts as a display for the rear view camera. The audio unit, with an AM/FM receiver has connectivity options for various devices and also accepts SD card media as well as voice commands. A smartphone link is also available for compatible smartphone models, as well as Bluetooth hands-free system with steering wheel switches. On the exterior, the 1.8G door handles have a chrome finish which matches the character line along the side of the car. Not so evident but which will be a convenient feature is the auto on/off mode for the headlamps. 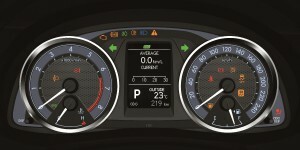 When set to AUTO, the headlamps will automatically come on when the external lighting level is low (e.g. entering a basement carpark), and switch off when the lighting level is high. Technically, there are no changes to the proven 1.8-litre and 2.0-litre Dual VVT-i engines with 7-speed Super CVT-i, which has been praised by local motoring journalists, for combining both advantages of fun-to-drive feeling of a conventional automatic transmission and fuel efficiency of a conventional CVT. While the efficiency and reduced weight inherent in a pulley-type CVT would seem an ideal solution for vehicles emphasizing fuel efficiency, there is the characteristic CVT “rubber band” driving sensation of the engine winding to its power band upon hard acceleration. 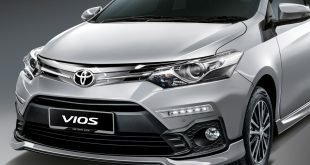 Toyota’s engineers have improved the drivability of the Corolla Altis by adapting discrete stepped “gears” or shift points, into the car’s acceleration and deceleration curves. The Corolla Altis’ Super CVT-i even mimics the familiar characteristics of hydraulic automatics creating a sense of positive shift engagement. There’s also a more linear connection between pedal effort and acceleration feel compared to previous CVT designs. Toyota engineers addressed challenges presented by typical CVT design such as the high level of hydraulic pressure CVT’s require for operation, and the optimization of the pulley ratio range to offer the best performance and fuel economy. Typically, CVT hydraulic-fluid pumps are driven at the same rate as the engine speed; as a result, the pump wastes considerable effort, impacting transmission efficiency at higher engine speeds as the pump moves more fluid than necessary to lubricate and sandwich the CVT’s belt. With the Corolla Altis’ Super CVT-i, hydraulic pressure was reduced to an optimal point to protect against belt slippage, while conserving drive effort to limit excess pumping losses. For a belt-driven CVT, the range of speed ratios is determined by the diameters of the input and output pulleys. The greater the disparity in size between these two pulleys, the greater the range of gear ratios, efficiency and performance the transmission can offer. The current 1.8-litre Super CVT-i offers a forward gear ratio range of 0.396 to 2.480 (which is wider than previous generation 1.8-litre Super CVT-i of 0.411 to 2.386), which works well for acceleration, cruising speeds, and fuel-conscious driving.There is also a transmission fluid warmer is used to help get fluid to optimal temperature faster. As for the 1.8E base variant, it receives minor upgrades with Smart Entry & Start System, illumination for the cupholders and front foot well, exterior door handle chrome finish, and auto on/off mode for the headlamps. Meanwhile, with the introduction of 1.8G, the 2.0G will not be continued. As before, customers can also select options such as a custom-designed aerokit. For those who require a GPS route navigation system, there is also an optional upgraded package which fits neatly into the 2-DIN space on the dashboard. 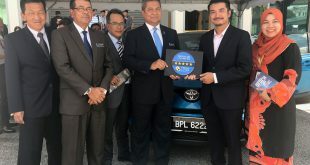 The Toyota premium security and solar film, which is JPJ-compliant with a 7-year warranty, remains standard for all variants. As with most models offered by UMW Toyota Motor, the Toyota Corolla Altis comes with a 3-year/100,000 km (whichever occurs earlier after first registration) warranty, subject to conditions stated in the Owner’s Handbook. 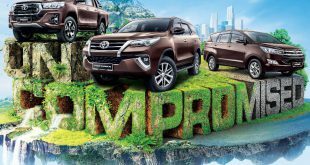 This reflects the confidence that UMW Toyota Motor has in the superior build quality of its vehicles, a hallmark of Toyota products.